So, this morning the newest Newbery Winner was announced! Along with all the rest of the ALA (American Library Association) awards. 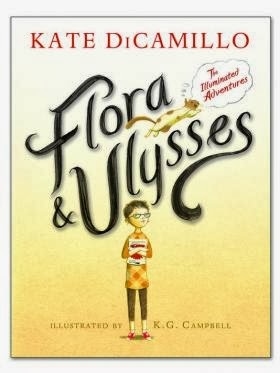 The winner is Flora & Ulysses: The Illuminated Adventures written by Kate DiCamillo. I have not read this yet! 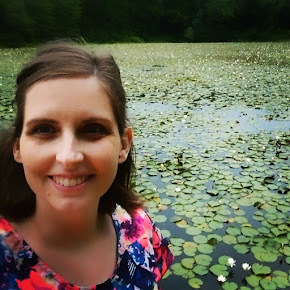 But I will get on that because I loved The Tale of Desperaux and The Miraculous Journey of Edward Tulane and The Magician's Elephant, all by her. This book is so awesome! Fascinating. Plus awesome cut-paper illustrations! This year I had to peek at the Sibert winners, too, because those are the non-fiction ones and "Sibert" kept coming up in our Cybils panel discussions. 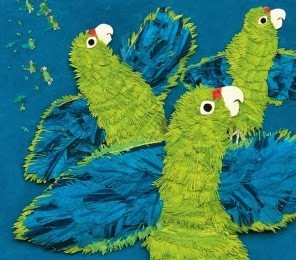 It was Parrots Over Puerto Rico -- my boys will be pleased. Occasionally I catch them yelling "Iguaca! Iguaca!" at each other. :) I was happy to see A Splash of Red on the list of Sibert Honorees as well, that is a favorite of mine and Benjamin's. I would like to own this book. Thinking about it makes me sentimental. 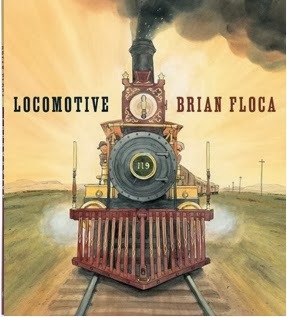 Locomotive definitely deserved that Caldecott - it's awesome! Yay for Kate DiCamillo! You know how much I adore her. Alaster got that book for Christmas from Ed and Cindy. I am in the middle of a book right now but I have plans to steal it from him as soon as I'm done! I can't wait to read another story by her!